Delving into fractured families, hoarded secrets, and the cultural and personal negotiations at the heart of the Asian American experience, May-lee Chai’s Useful Phrases for Immigrants is distinguished by writing as elegant and delicate as a snowflake. 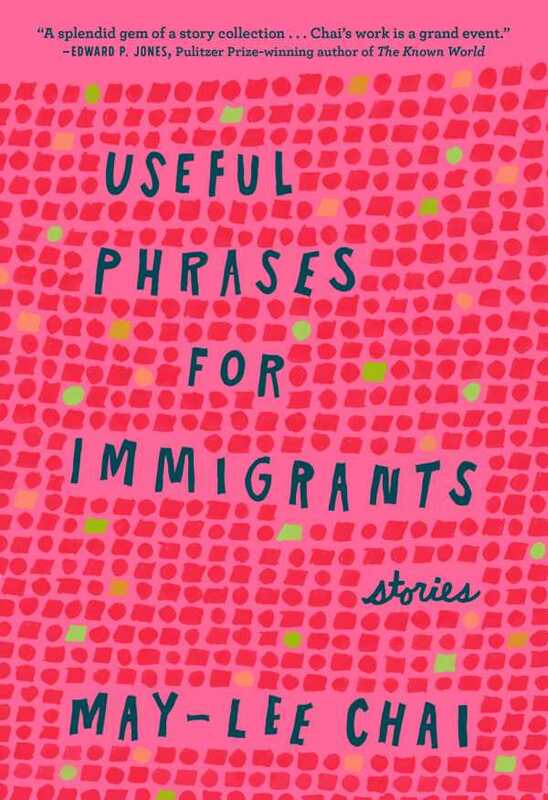 As one would expect, Useful Phrases for Immigrants contains plenty about the immigrant experience. The title story centers on a Chinese couple struggling to succeed in an America awash in name-brand consumerism. But more generally, the book is about outsiders: illegal laborers, sons and daughters set adrift from expectations and responsibilities. Stories like “The Body” take place entirely in China; its ghost-story narrative proves that Chai is as adept at describing the ineffable as she is at capturing small human moments. The heart of Useful Phrases for Immigrants lies in its stories about family squabbles, in which Chai plays with reader expectations. On the surface, “Ghost Festivals” is a light family comedy, but underneath is a heartfelt tale about intolerance and sexual freedom. “The Lucky Day” is a grim story about a mother with a terminal disease and her underachieving daughter; it concludes on a note of unexpected joy. In “First Carvel in Beijing,” perhaps the collection’s most affecting entry, an innocuous fling with an ex-girlfriend gives way to a shattering childhood memory and a shot at forgiveness. The elderly father and daughter in “Shouting Means I Love You” may have a hard time communicating beyond yelling at each other, but the story’s title could serve as a summary of Chai’s themes: her characters are out of their comfort zones and uncertain how they fit together, let alone fit in, yet somehow their personal connections remain and persevere. Throughout, Chai writes with an unsparing yet sympathetic eye for her characters, and with a knack for memorable turns of phrase and observations. There’s plenty of heartbreak in Useful Phrases for Immigrants, but Chai’s writing brings a ray of sunshine. Devastating and graceful in equal turns, this collection confirms Chai’s place among the best Asian American writers of today.